Sweet on the outside, sinister on the inside— that's Annabelle. Scratch that— actually, she doesn't look very sweet. 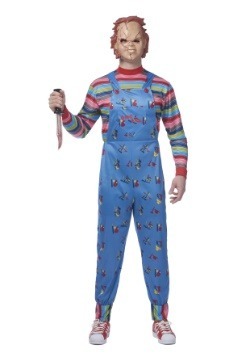 In fact, we can't understand why any little girl would want this thing. Her dead eyes stare daggers, plunging into our soul. Her upturned lips bare devious thoughts our brains couldn't imagine. Her gray, fractured skin gives the appearance she's been buried for years. Annabelle is undeniably, spine-chillingly, supernaturally sinister and oddly, we can't get enough of her. We have a feeling you can't either. The 18-inch doll has a molded vinyl head, hands, and feet and a soft body so give her a squeeze... if you dare. 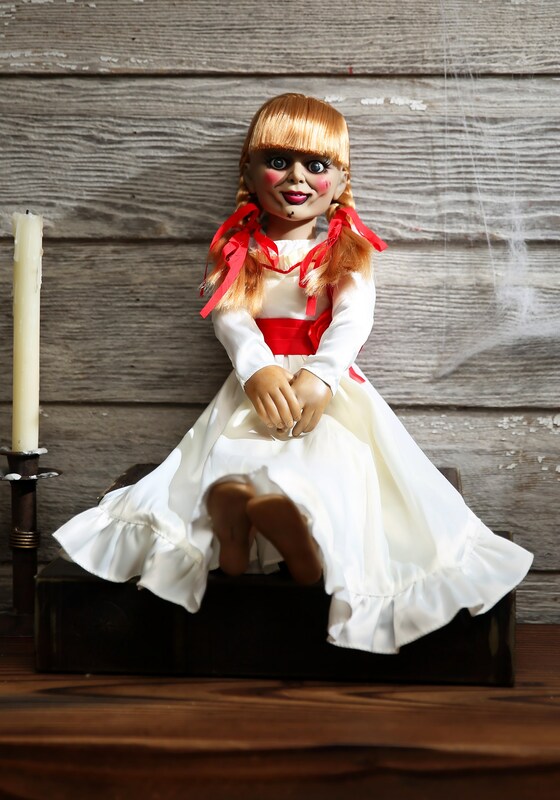 She wears a satin, white dress containing a ribbon sash and decorative rosette while the hair is styled into two, long braids, perfectly mimicking the Annabelle doll from the major motion picture. If feeling brave, or particularly reckless, set Annabelle right next to your Ouija Board and see what happens! Standard - £125.99 Only 3 left!